Application Fields: it is mainly used in small and medium cement plant. Applied material: medium soft iron ore, sandstone, blast furnace slag, coal gangue, lump coal, metallurgy solvent, etc. 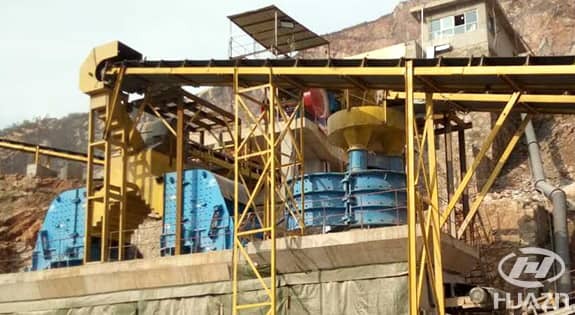 PFL Series Vertical Complex Crusher is developed by our company which based on absorbing the international advanced technology and applying company's decades practical experience. 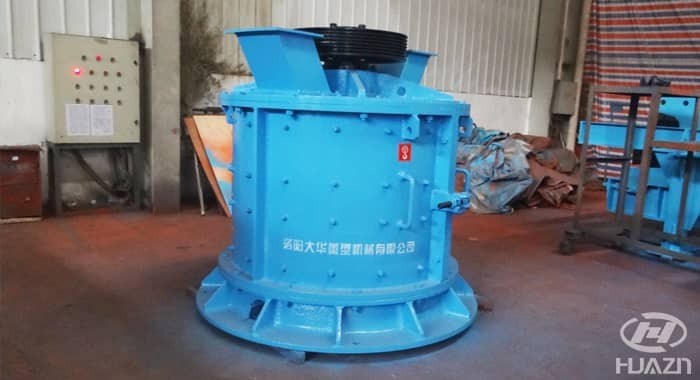 It is optimized to be a new type fine crushing, coarse grinding crusher, which apply the crushing mechanism of impact and grinding at the same time. 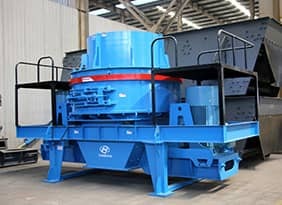 The machine is ideal equipment for fine crushing in cement plant, which can realize more crushing and less grinding, decrease the consumption of the energy. 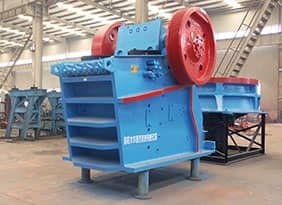 It is widely used for crushing cement raw material and clinker, also can be widely used for solvents and raw materials fine crushing in metallurgical industry and various hard mineral crushing processing in other construction, building materials, chemical industry and some other fields. 1. Simple structure, high throughput, high crushing ratio, high rate of final product, low energy consumption. 2. The hammer and liner apply wear resistant complex alloy material, which is of high hardness and high toughness. So the service life of them is long. 3. Good sealing performance, little dust pollution, low noise, stable running, convenient operation and maintenance. 4. 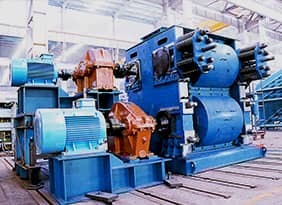 According to the needs of customers, the main gear can be designed at the top of the machine or at the bottom. 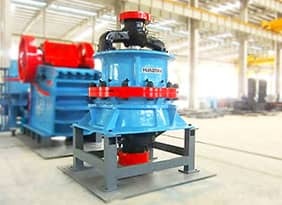 Remark: The above capacity is based on the limestone with bulk density 1.6t/m³ and for reference only. 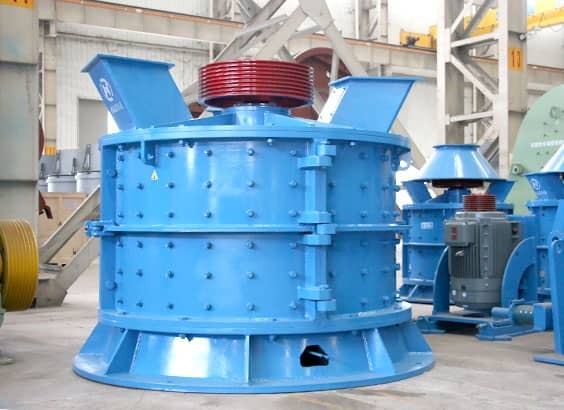 The capacity will be affected by many factors such as compressive strength, crushability, corrosion resistance, bulk density, aggregate grading, moisture, crystalline, processing flow. 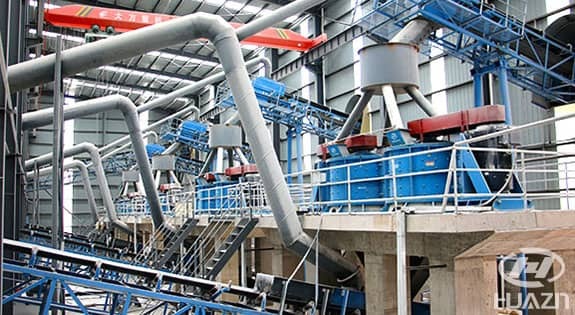 600t/h aggregates production at Yunnan Province, China. 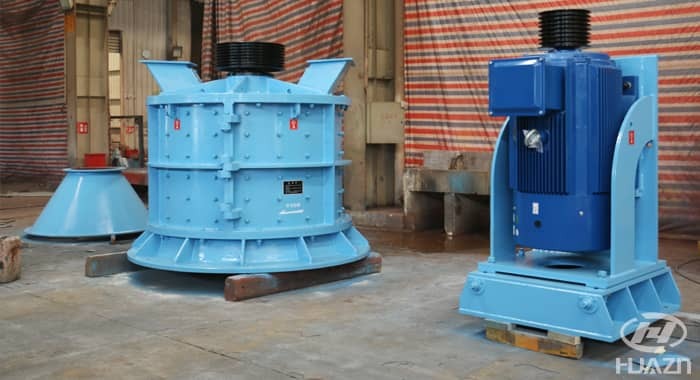 The main equipment: ZSW1360 vibrating feeder, PFQ1315 impact crusher, C1210 jaw crusher, PFL2300Ⅲ vertical complex crusher, 4YK2475 vibrating screen.